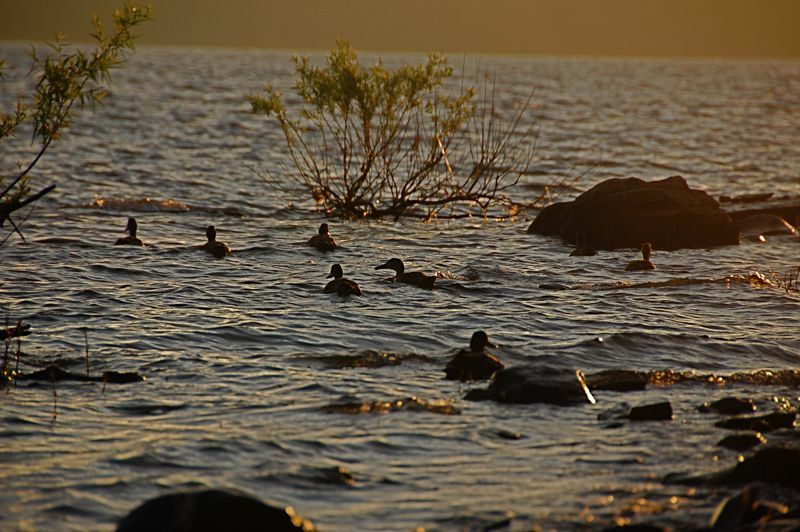 This small flock of mallards at lake Wallenpaupak was swimming about near a marina. There wasn't too much action at the marina because of inclement weather. So these ducks decided to swim over to the fishermen and try their luck with us. We didn't have anything to give them. They left, but seemed to be enjoying their swim into the sunset.